Since 2015, over one-hundred organizations have endorsed the Principles for Digital Development—a set of nine “living” guidelines that can help practitioners integrate a suite of best practices into digital development projects. In the spirit of putting the Digital Principles into practice, TechChange is partnering with the Digital Impact Alliance (DIAL) to build an introductory training and workshop curriculum on the Digital Principles. This will enable digital development professionals to train their teams and equip their organizations with reference materials, tools, analysis, and relevant case studies to increase awareness of the Principles and enhance their application across programs. As an example for gauging awareness, workshop participants join in on an activity where they can state how much they may agree or disagree with a prompted statement or question. I am confident that I know enough about the Digital Principles and have sufficient resources to advocate for endorsing them at my organization. 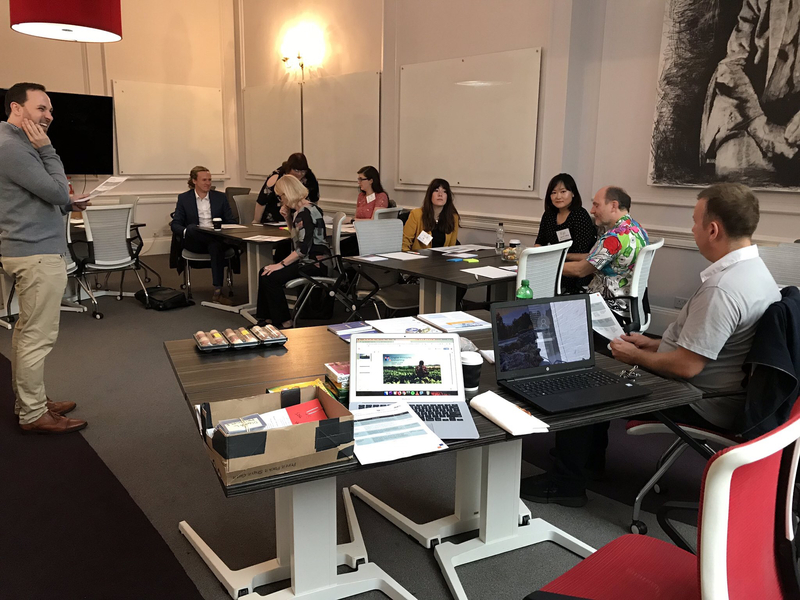 Through this activity, participants can see how their colleagues and partners view the effectiveness of the Principles and candidly discuss challenges that they may have faced in referencing or using the Digital Principles. 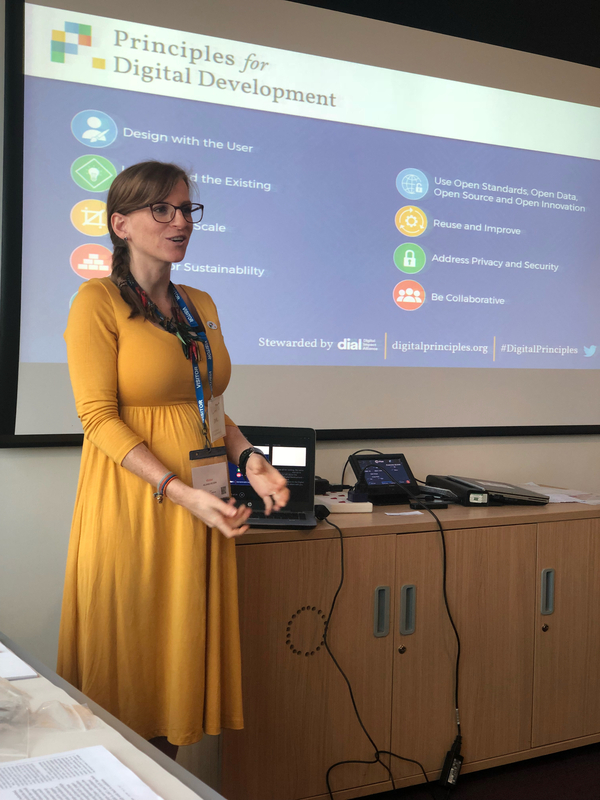 Outside of building workshop sessions, TechChange and DIAL are designing a set of training materials and tools that can be used by practitioners to talk about the Principles and see where they may fit in, or not fit in, with their own work. These tools could be used by anyone who may need more insight on how digital development relates to ongoing programs at their organization. They are meant to be accessible and shared with practitioners who may not have a strong technical background. For example, a program officer could use a set of quick reference materials detailing how the Principles can be applied to uphold responsible data management during the deployment phase of a project or perhaps see how a potential program could address critical gender inclusion challenges. Alongside these quick reference materials and workshop activities, TechChange and DIAL are building a self-assessment tool that can be used by practitioners to see how proposed programs or ongoing projects meet different aspects of each Digital Principle across different phases of a project phase. The tool can provide analysis of key gaps across different Digital Principles and offer initial steps to address any identified gaps for programs. 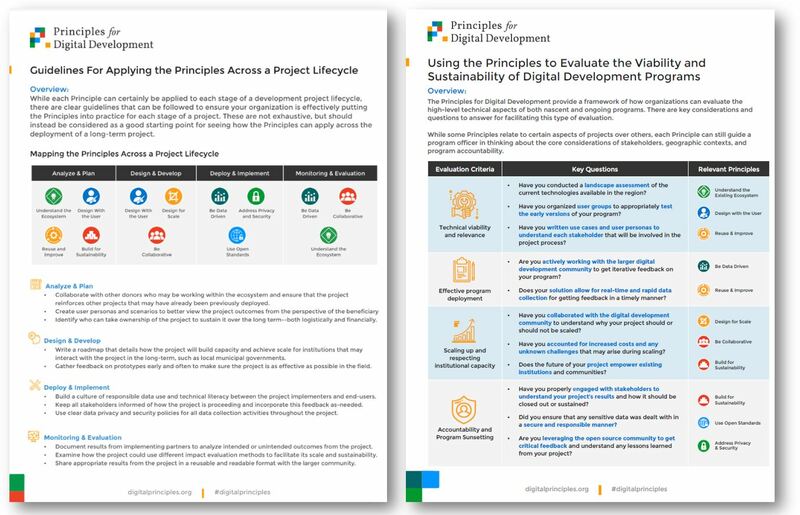 The Digital Principles are not stagnant nor are they compulsory; they are meant to invite critical discussions and perspectives on how organizations can adopt more effective digital-led practices across their operations for development programs. In addition to providing best-practice guidance, the Digital Principles serve as common ground for the digital development community to engage in these constructive conversations. Does your organization endorse the Digital Principles? Do you want to engage with TechChange and DIAL as we build and publish these training materials and assessment tools? Email info@techchange.org to talk with us about this project!